Shimadzu's gift will help researchers, students, and local businesses. When Shimadzu Scientific Instruments gave a $7.5 million gift to UT Arlington this past February, it not only set a record for the largest single monetary donation in University history, but—perhaps more importantly—it also cemented a relationship that has a bright future. Before long, its effects will be felt across campus—from the new Center for Imaging, which will one day contain the latest in brain-scanning equipment, to the Materials Genome Center, where scientists hope to discover ways to keep aircraft materials strong. In all, four centers of excellence will house more than $25 million in cutting-edge technology available to aid students and faculty researchers, and to respond to North Texas business’ needs for research and development. In addition to giving researchers the best tools, organizers are placing great emphasis on creating teaching labs where students, including undergraduates, can get hands-on experience. Maryland-based Shimadzu Scientific Instruments is the American subsidiary of the Shimadzu Corp., which is headquartered in Kyoto, Japan. Their technology is employed around the world in medical diagnostics, aerospace and industrial endeavors, and analytics. UT Arlington and Shimadzu began collaborating nearly a decade ago. 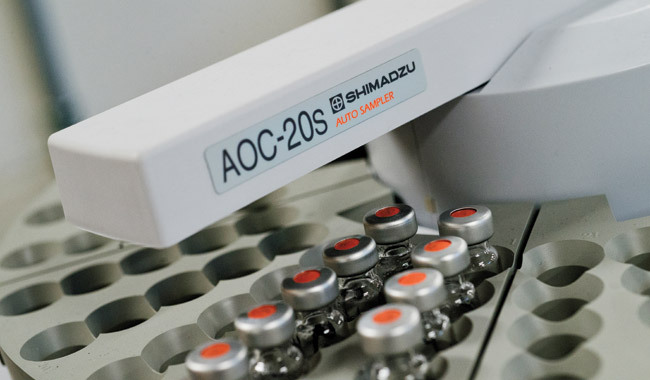 In April 2012, the company made an in-kind gift of equipment valued at nearly $3 million to establish the Shimadzu Center for Advanced Analytical Chemistry within the College of Science. The chemistry center; the Center for Imaging; the Materials Genome Center; and the Center for Environmental, Forensic, and Material Analysis are all expected to be fully operation by Spring 2014. Joe A. Barrera, an experienced laboratory researcher, serves as the Institute’s director.